Thread: Top Rank Pros / BizBox / RocketDriver - legit or scam? Saw that. It appears that this "company" keeps changing its name. KimCon, the reference to Rocket Driver is down in the comments section. Beware!!!! Re: Top Rank Pros / BizBox / RocketDriver - legit or scam? Big hug to you for having a son with health concerns. I have a son that has serious chronic health conditions that have left him too sick to attend school. 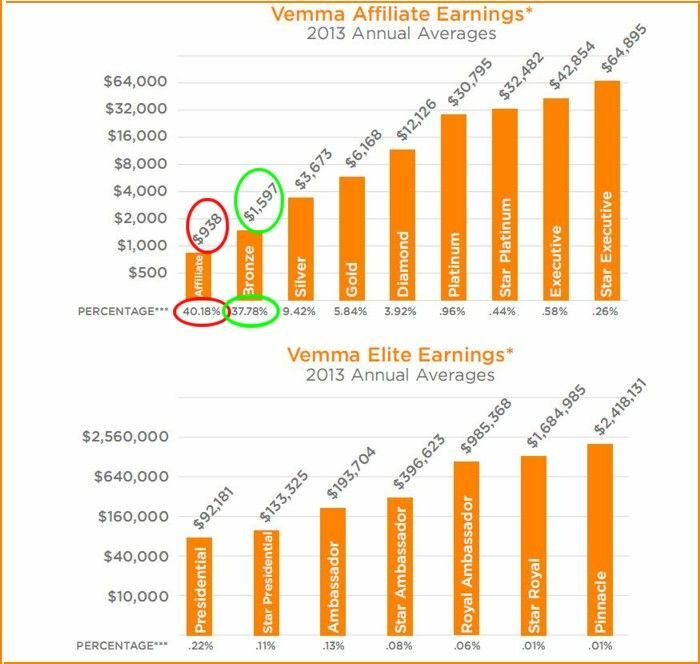 All MLMs are scams and 97% must lose money in order for the top of pyramid participants to profit. I hope your son will be able to find other options. JustTooMuchTime, Char and ribshaw like this. In light of your last post, this website might be helpful to both you and your son. There's a lot of good research there. Actually, there's a thread here that provides several good, informative links. Soapboxmom, littleroundman and ribshaw like this. This company has an extremely good reputation in the MLM industry and a # of my son's friends have earned significant incomes AND improved their health with 100% safe, natural energy drinks instead of Monster, Red Bull, etc. Vemma had a problem with the YPO (Young People's Revolution) getting 'on board' ...these were the college aged kids who were quite 'full' of themselves when they started earning huge incomes and they began to make false claims, etc and this got the company in hot water; but it is still a very reputable company! . With the greatest respect, KimCon, might I suggest your son may benefit more if your research took you outside the influence of the spin doctoring of the companies you are researching. Char and ribshaw like this. Welcome here are a few links on WORK at home. The key being work, not create an empire with $29.95 by showing others how to do the same. If your son was good in sales, is it possible to write E-books or set up a web site on the topic? Also Amazon has a deal where they will basically drop ship some items to customers if you set up a store with them. I don't know the arrangements, but I had briefly explored the idea in looking to get rid of some books and other media I have accumulated through the years. This would allow him to run the business aspect of things without having to head to the post office. The problem is a lot of SCAM sites are not SCAM sites. They are affiliate sites that may bash one product and steer you to whatever they happen to be selling. Or they are sites that are set up by the program telling you they checked it out and everything is on the up and up. If Ethan says its a scam its a scam. You say you and your son WERE involved. There are people who have a lifetime of WERE bouncing from one MLM/Endless recruiting deal to the next. Some people do make money, they are the exception. Yes, we WERE both involved but I am not a business builder for any MLM - I am a consumer because after studying alternative health for over 18 years; I find some of the very best products come from MLM companies! And, believe it or not; I know of three people personally who had Stage III and Stage IV cancer plus a friend's dog who WERE CURED with nutritional therapies; most of which came from Mannatech...so, don't be too quick to assume this does not happen. When my entire family of 4 suffered a toxic benzene exposure some years back; Mannatech's products (Ambrotose, in particular) literally saved our lives. We were very sick and all of us suffered with immune system issues for years UNTIL we started taking Ambrotose and Phytaloe. Mannatech's supplements are life-changing and I attended a # of symposiums where people would go up on stage and describe their own results with the products - it was very much like going to a Bible revival meeting - so many very serious diseases CURED and people literally on the brink of death being restored to full health...so, I have first hand experience with this company's products! Do we jump around from one company to another? You bet! Or should I say, I do because I have signed up with 7 or 8 different MLM's in order to buy products wholesale from each one; I am that impressed with what they offer; another company with life-saving products is Immunotec - wonderful L-Glutathione precursor supplement they call Immunocal. I gave it to my own dog who had cancer and she out lived her prognosis (which was bleak) by maybe 4 years. My son, on the other hand was excited about the business building aspect of Vemma and in a short time, he and a # of his friends were earning good money and they were enjoying a healthier lifestyle (a full day's vitamin/mineral content comes with every 'Verve' energy drink - so not only were they giving up those toxic Red Bulls and Monster drinks; they were earning income; learning sales and leadership skills and having fun doing it. There were 70 kids involved and many were doing very well; but when my son got sick; he was unable to attend meetings or pretty much leave the house; so without his leadership (he was needed to conduct meetings but could no longer do that); most of the team lost interest over the past 2 years and in spite of how much he loved the product and the business; my son couldn't afford to order product any longer and dropped out himself. An open mind in the case of phony products? Mannatech is selling snake oil. If it cured caner or did any of the things you claim the large pharmaceutical companies would be fighting tooth and nail to get the formula and market it themselves. Sadly, your family and friends are just more victims that bought into the hype about products that are not drugs, will never be FDA approved as they are worthless, are horrendously overpriced and in some cases have proved dangerous. There is a reason the Texas AGs office went after those con artists at Mannatech. Joe_Shmoe, Char and ribshaw like this. If you really want the flash dried aloe, I'd suggest giving Terry Labs a call and research their product. I can't remember their minimum purchase order but it wasn't that much. Or you could ask them what commercial products for sale use this aloe. Cryo-Vera™ 200X Aloe is more uniform and stable than standard "freeze-drying", meaning it retains more of the natural elements found in fresh aloe than standard freeze-dried Aloe Vera powder. The flash-freeze process creates small frozen particles with 10,000 times the surface area of Aloe blocks formed with traditional freeze-drying. This product provides protection against high blood sugar levels, inflammation, arthritis, and colitis. This product is ideally used in nutraceuticals and beverage products, including functional foods, sports drinks, energy drinks/powders, capsules/tablets, and in health drinks/juice blends. Also, have you ever heard of "LDN" Low Dose Naltrexone? FDA approved but used "off label" for a variety of diseases mainly auto immune like MS. Small clinical trials have been run and there is a big push to make the public more aware as it is very promising. Big pharma can't be bothered because it's already off patent and very inexpensive. The gist is, it stimulates your brain to create more endorphins which encourages the body to heal itself. Researchers found that HIV patients among others had very low endorphin levels. Note: I'm not recommending either of these, I'm merely suggesting you research them on your own and draw your own conclusions. So this thread finally turned into the advertisement it was intended to be. There was never any reason to mention any other garbage than the topic at hand. Let's just say unexplainable stuff happens all the time, and MLM has nothing to do with it. Or are you going to tell us that they all washed their britches in SA-8 that morning and that was what saved the day? I believe the quote was in this book where one MLM heavy hitter was talking to another about the "secret" to making so much money. Keep the masses broke he said, keep them broke and dreaming. For good measure, knowing what I know about people and their pets 28,000 distributors would not be GROSSING $400 a year if there was any there there. JustTooMuchTime and Char like this. If you want an MLM type product and you think it works, you can always find it cheaper - Especially if you can't afford ridiculous MLM pricing. Example given in last post. Flash dried aloe is not some proprietary ingredient exclusive to Mannatech - Although they would like you to think it is. If this woman or her son is truly sick, I have suggested to her to look into an FDA APPROVED drug and not some snake oil MLM crap. See SBM link to Texas Attoney General case against Mannatech. The LDN website I linked I believe is Not For Profit. ....... 70 kids involved and many were doing very well; but when my son got sick; he was unable to attend meetings or pretty much leave the house; so without his leadership (he was needed to conduct meetings but could no longer do that); most of the team lost interest over the past 2 years and in spite of how much he loved the product and the business; my son couldn't afford to order product any longer and dropped out himself. This just about sums up MLM. "Doing well" is subjective and a stretch unless these kids were in the top 2.86 percent of the entire company which I doubt. And as Kimcon points out, without the rah rah leadership, and inability to make money, people drop out when no longer incentivized, and are not willing to pay for the pricey product. Therefore there is little to no retail value = Pyramid Scheme.